The Yankees have honored 21 former players and managers by retiring their uniform numbers. Here is a look at the men who have left their mark on the franchise. If he wasn't the greatest player of all time -- and the argument here is that he was, given his pitching records before he became a legend as a slugger -- he is the most influential. He hit 60 home runs in 1927, when no other American League team had that many. He essentially created baseball as a mainstream American pastime, basically building the Yankees and Yankee Stadium along the way. Photo Credit: Getty Images / New York Times Co.
"The Iron Horse" played 17 seasons with the Yankees before ALS took his life. 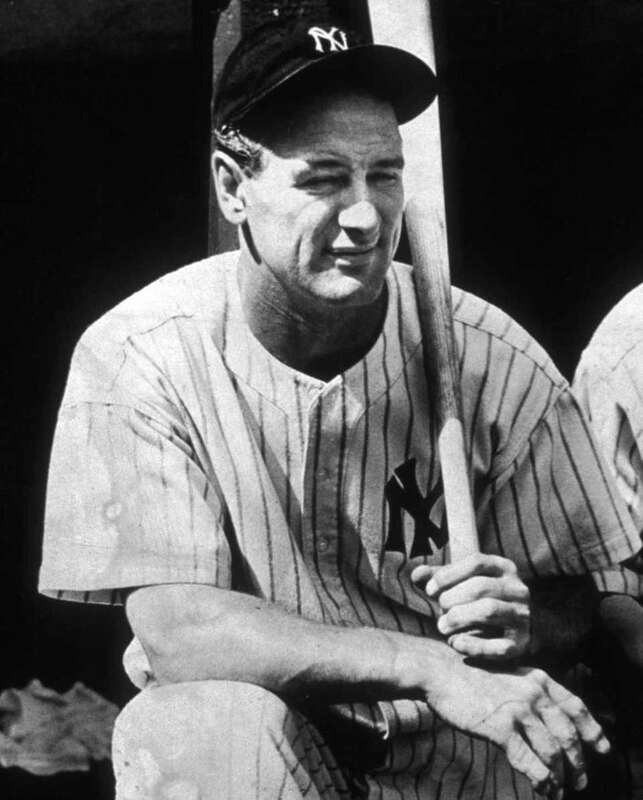 The disease that now bares his name forced the modest Gehrig to make one of the most famous speeches in sports history. Gehrig's ability will never be forgotten as he appeared in 2,130 consecutive games from 1925-1939, a record that stood until Cal Ripken Jr. broke it in 1996. His 2,721 hits was a team record until Derek Jeter broke it in 2009. Gehrig's 1,995 RBIs remains the franchise record. He knocked in 150 or more runs in seven seasons. His 23 career grand slams is still an MLB record. During DiMaggio's era, he was considered the best all-around baseball player. His biggest career feat came in 1941 when he had a hit in 56 straight games, a record that stands till this day. Pete Rose is the only player to come close when he it in 44 straight games. 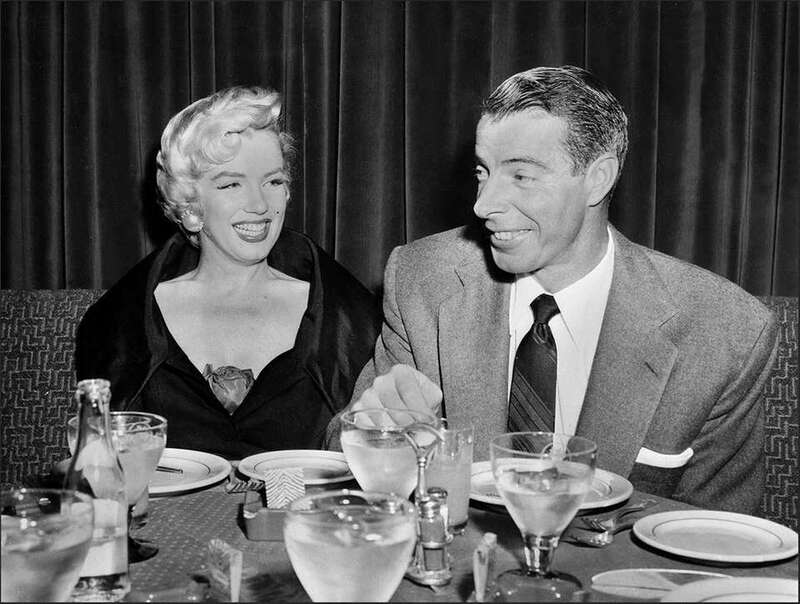 DiMaggio's career numbers were hurt by three years of service during World War II. He was named to the All-Star team every year of his career and won three MVP awards. His numbers rank in the top 10 of every offensive category in franchise history. 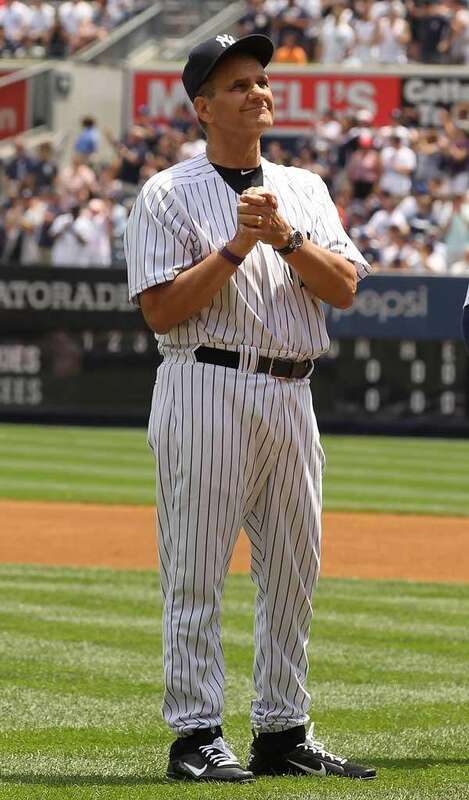 A borderline Hall of Famer as a player, Torre led the Yankees to World Series titles in 1996, 1998, 1999 and 2000 and was elected to the Hall of Fame as a manager in 2014. He led the Yankees to the playoffs during every season of his Yankees tenure, from 1996-2007. When baseball historians look back at Mantle's career, they all say the same thing: If only he took better care of himself. His lifestyle off the field hurt his 18 seasons in the Bronx, yet he still put up Hall of Fame numbers. His 536 home runs are second in franchise history to Ruth's 659. The 16-time All-Star played in 2,401 games, the most in team history. 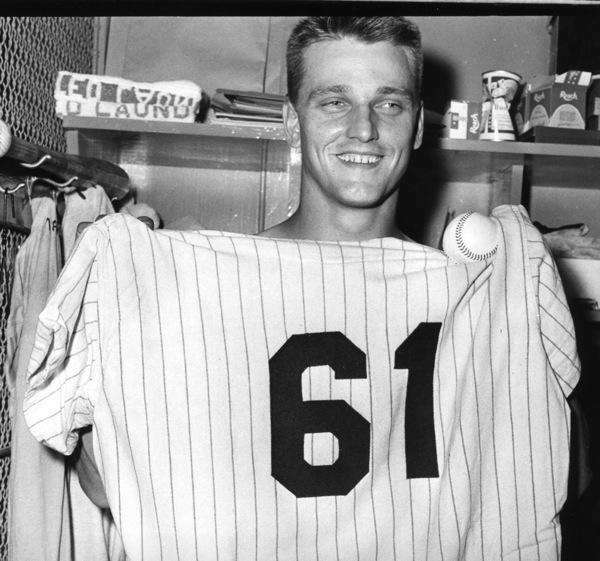 He will forever be remembered for the 1961 season when he and Roger Maris chased Ruth's single-season home run record. 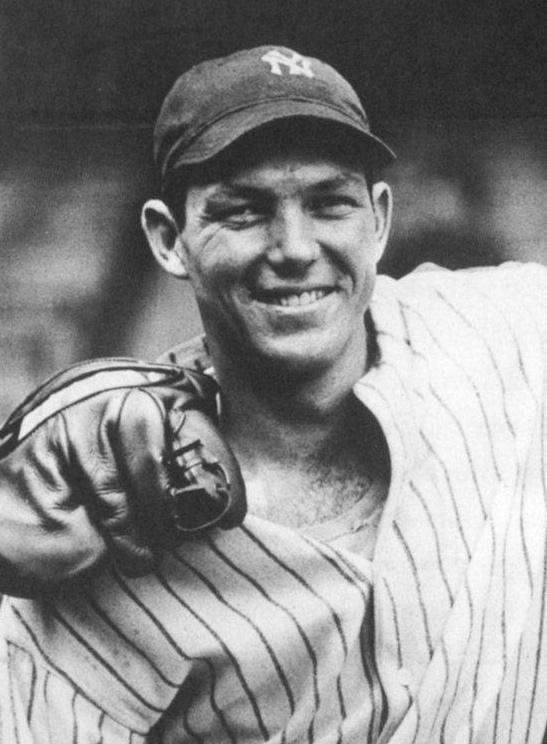 Bill Dickey played his entire career with the Yankees and was a huge part in winning seven World Series titles. The catcher was elected to the Hall of Fame in 1954. Dickey was named to the All-Star team 11 of his 17 seasons and usually found his name in the top ten for MVP. 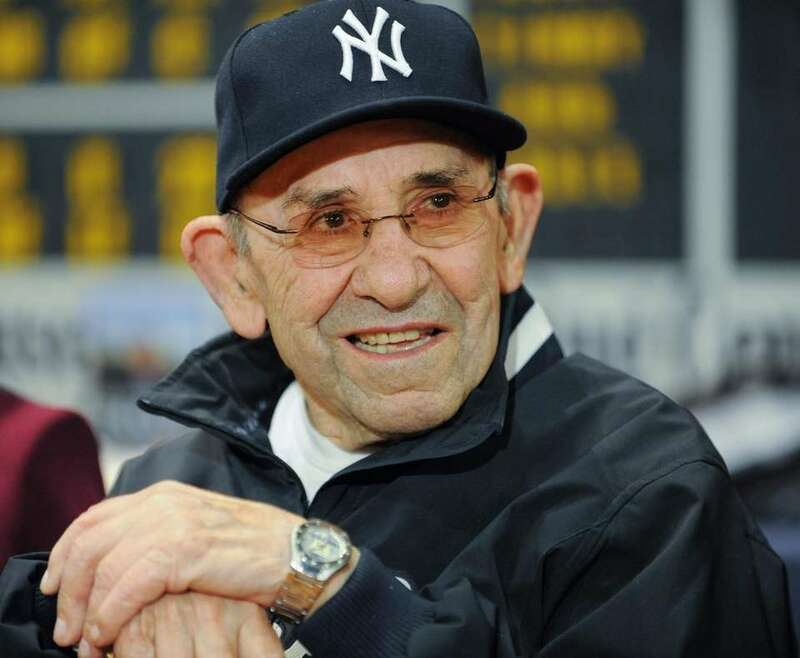 No one is more of a winner than Yogi Berra who has 10 World Series wins under his belt, a record that may never be broken. Berra is one of the few men who played with both DiMaggio and Mantle in the most successful era of the Yankee franchise. Berra appeared in 15 straight All-Star games and collected three MVP awards along the way. In 1961, Roger Maris and Mickey Mantle competed in the most historic of baseball chases -- Babe Ruth's 60 home runs in a single season. Maris eventually pulled ahead of Mantle and broke Ruth's record but hitting 61 home runs. It was among the most challenging events of Maris' life, with there being significant backlash from people both in and out of baseball about breaking such a hallowed record. 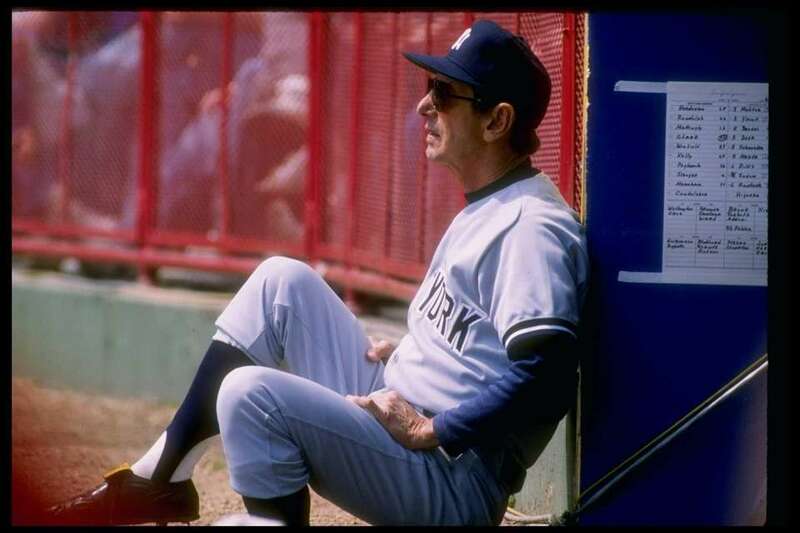 Phil Rizzuto is another life-long Yankee who wore the pinstripes proudly during his 13 years in the Bronx. His name always comes up when talking about the greatest Yankees of all-time. Even though he missed three seasons to fight in World War II, he still managed to carve out a nice career with five All-Star appearances and the 1950 MVP award. "The Captain" is still one of the most revered members of Yankee history. Thurman Munson's career and life were cut short due to a plane crash during the 1979 season. 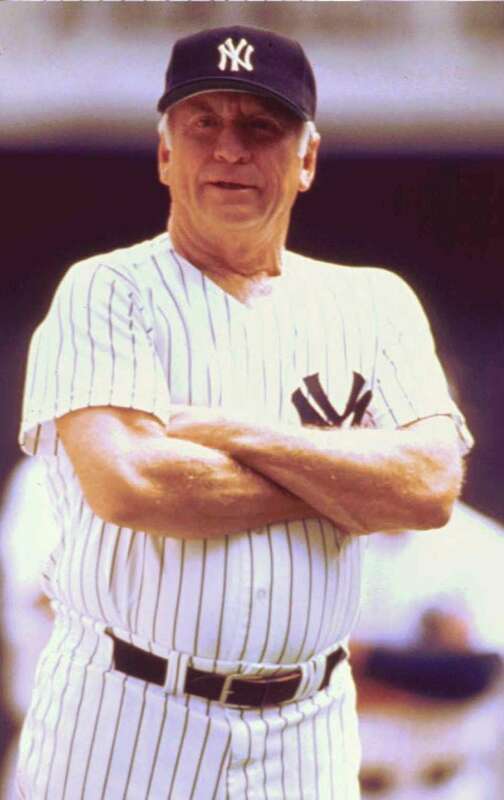 Munson guided the Yankees during the "Bronx Zoo" days to back-to-back titles in 1977 and 1978. He was the 1976 AL MVP, hitting .302 with 17 homers and 105 RBIs. His empty locker remains in the new Yankee Stadium to remind the generations to come of his leadership and accomplishments. An annual rite of autumn was watching "The Chairman of the Board" pitch in the World Series. He pitched Game 1 of the Fall Classic eight times, more than anyone else. The Yankees might have had one more title had he been allowed to pitch Game 1 in 1960. Set a host of World Series records, including 33.2 consecutive scoreless innings (breaking Babe Ruth's mark). Holds Yankees records for starts, innings, wins, strikeouts and shutouts. From 2000 to the end of his career in 2011, Jorge Posada led all MLB catchers in home runs and RBIs. But as much as he impacted the Yankees with his bat, the five-time All-Star valued his role behind the plate even more. The fieriest of the Yankees' "Core Four," Posada also was a five-time World Series champion. No man has a nickname as good as "Donnie Baseball." Mattingly is still one of the most beloved Yankees of all time, and with good reason. Mattingly played the game like no other, he was a quiet leader who led by example. His bat did all the talking for him. But he was also one slick fielding first basemen. He was a six-time All-Star, a nine-time Gold Glove winner and the 1985 MVP. He also captured the batting title in 1984 with a .343 average. 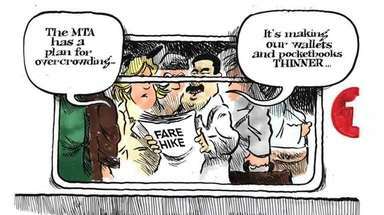 However, Mattingly's peak was met with some of the darkest days of the Yankee franchise. Mattingly only reached the playoffs in his final season, 1995. Elston Howard was the man who took over at catcher when Berra moved to the outfield later in his career. It was a move that would pay off for the Yankees as Howard went on to be a big-time player. Howard helped lead the Yankees to four championships and was the MVP of the 1963 season (.287, 28 HR, 85 RBI). He won two Gold Glove awards and was selected to nine All-Star teams. His lifetime .427 slugging percentage ranks 4th among catchers. Howard was also the first black player for the Yankees. Won more World Series games (37) than anyone else and is tied for first all-time with seven championships. Was baseball's top manager when baseball was king. What's more, he did it with pizzazz. Also gets points for having played for the Giants and the Brooklyn Dodgers, and breathed life into the expansion Mets by force of his personality. When Jackie Robinson's No. 42 was retired around the sport, current players wearing the number were allowed to continue, thus the Yankees didn't retire No. 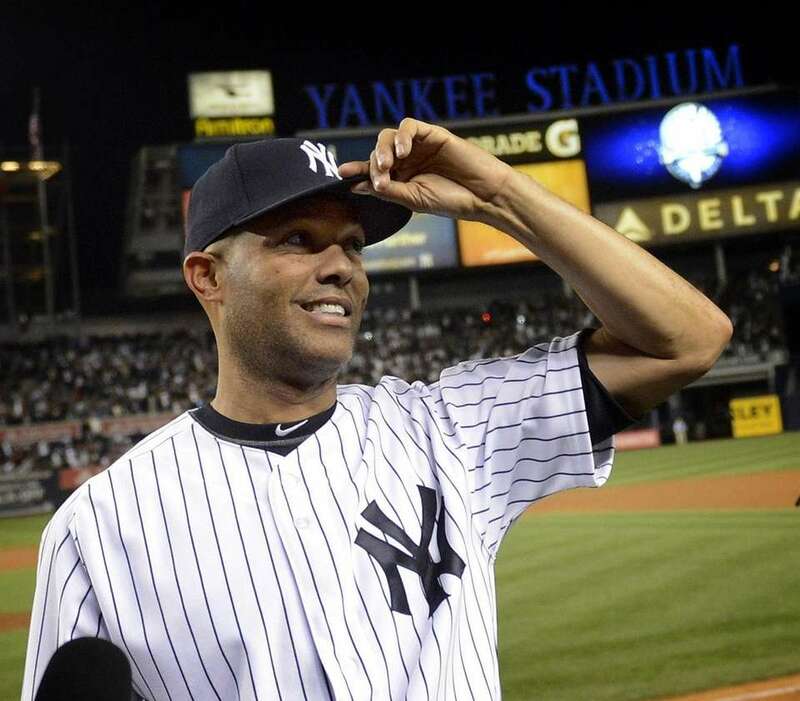 42 until Mariano Rivera decided to call it quits. Rivera was a crucial part of five Yankees World Series titles and holds the all-time saves and games finished records. A 13-time All-Star, he also received top-10 AL MVP consideration six times. In 96 postseason games, he was 8-1 with a 0.70 ERA and -- of course -- 42 saves. 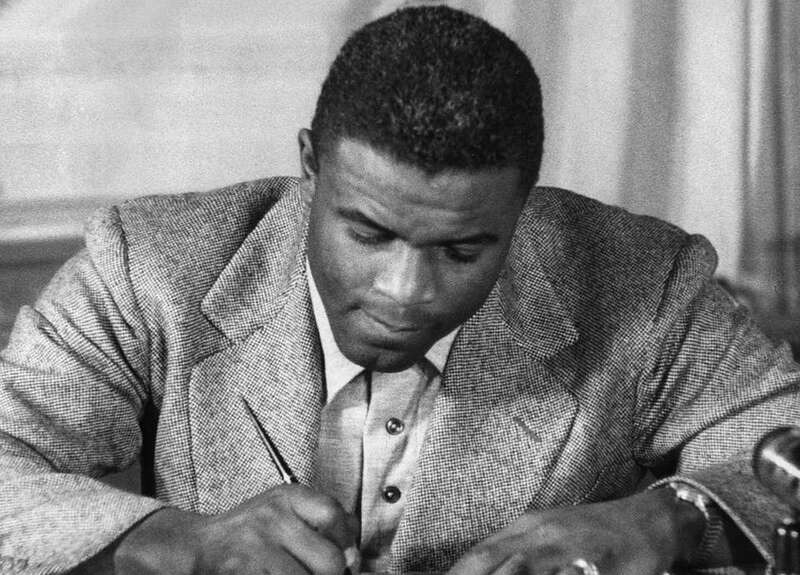 Robinson paved the way for non-white players in baseball, breaking the color barrier in 1947 by becoming the first African American player in the majors. A Hall of Famer, Robinson's number was retired across baseball in 1997, though players who will wore No. 42 were allowed to continue. Since that included Yankees closer Mariano Rivera, the number was never displayed at Yankee Stadium until Rivera's retirement following the 2013 season. Reggie Jackson showed everyone why the Yankees gave him a big contract in the offseason, delivering perhaps the greatest individual performance in Yankees postseason history. His three home runs, each off different Dodgers pitchers, led the Yankees to a series-clinching 8-4 win in Game 6 of World Series, forever earning him the nickname, "Mr. October." Andy Pettitte holds the Yankees' franchise strikeout record with 2,020 and is No. 3 in team wins behind Whitey Ford and Red Ruffing. 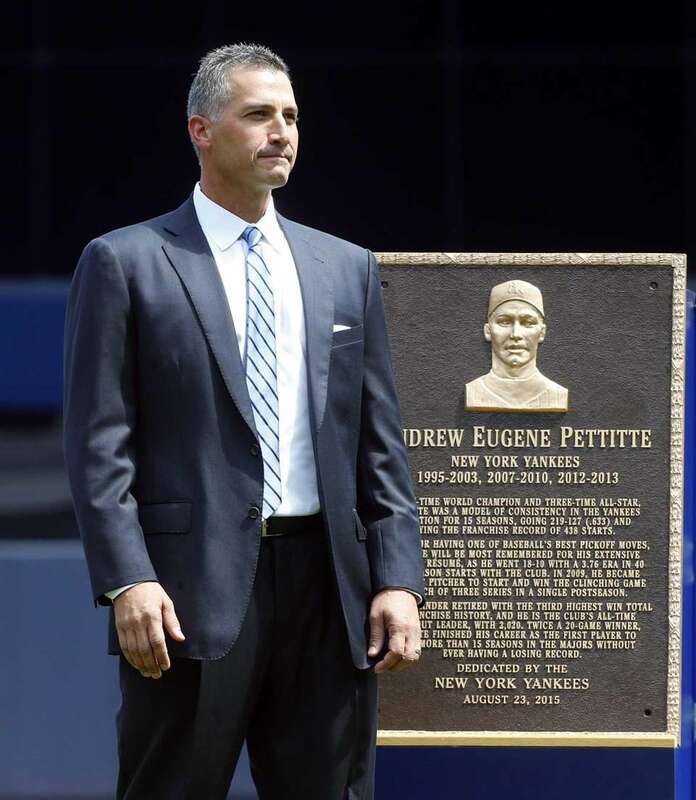 Pettitte, a five-time World Series champion with the Yankees and part of that era's "Core Four," totaled 19 postseason wins, the most in MLB history when he retired in 2013. "Louisiana Lightning" was the ace on the mound during the "Bronx Zoo" era. When people talk about Guidry, they talk about 1978: 25-3, with a 1.74 ERA and a WHIP below 1. He won the Cy Young that year and finished second behind Jim Rice of the Red Sox for the MVP award. Guidry won 20 or more three times in his career and was one of the better fielding pitchers of his time winning five Gold Gloves. Bernie Williams played 16 seasons with the Yankees, a career that included 1996, 1998, 1999 and 2000 World Series rings, five All-Star selections, four Gold Gloves, a .297 average and a major league-record 80 postseason RBIs.